I have a special treat for you today–a bit of history, compliments of a dear efriend, Janet Abercrombie of Expat Educator. Janet teaches math, but in a refreshingly nontraditional manner. She has given me countless ideas for integrating tech into math (or ‘maths’ as they say outside the US). She just finished up a teaching gig in Hong Kong and is moving to Australia. Through her, I gain insight into the worldwide educational world, something I could never do on my own. But Janet shares her experiences with everyone who visits her blog, including the differences in spelling around the planet, which I’ve left unchanged. 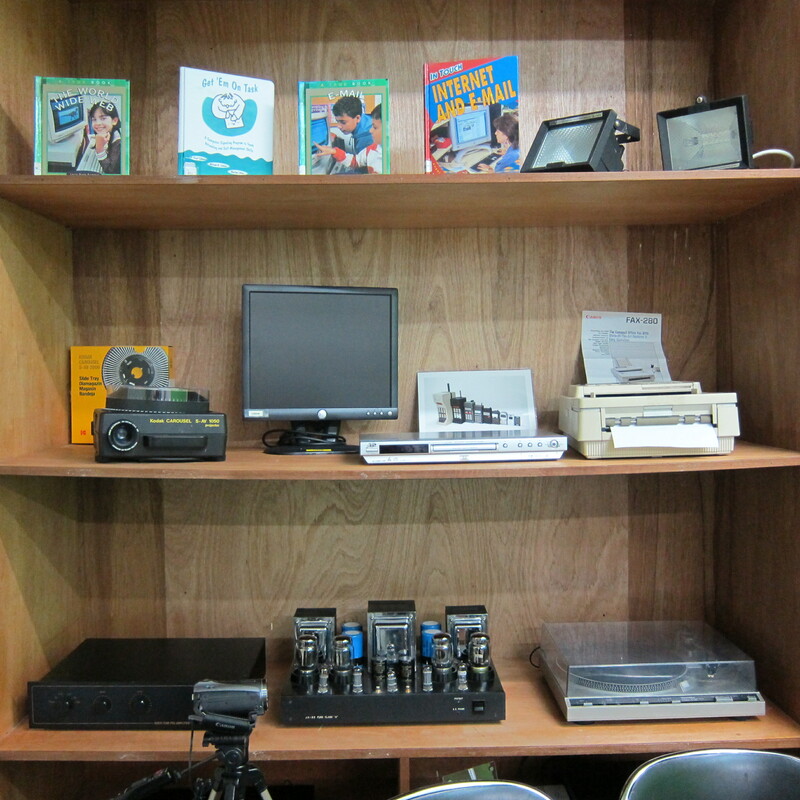 I recently worked in a school with a Tech Museum. Recognise any of the items in the pictures below? 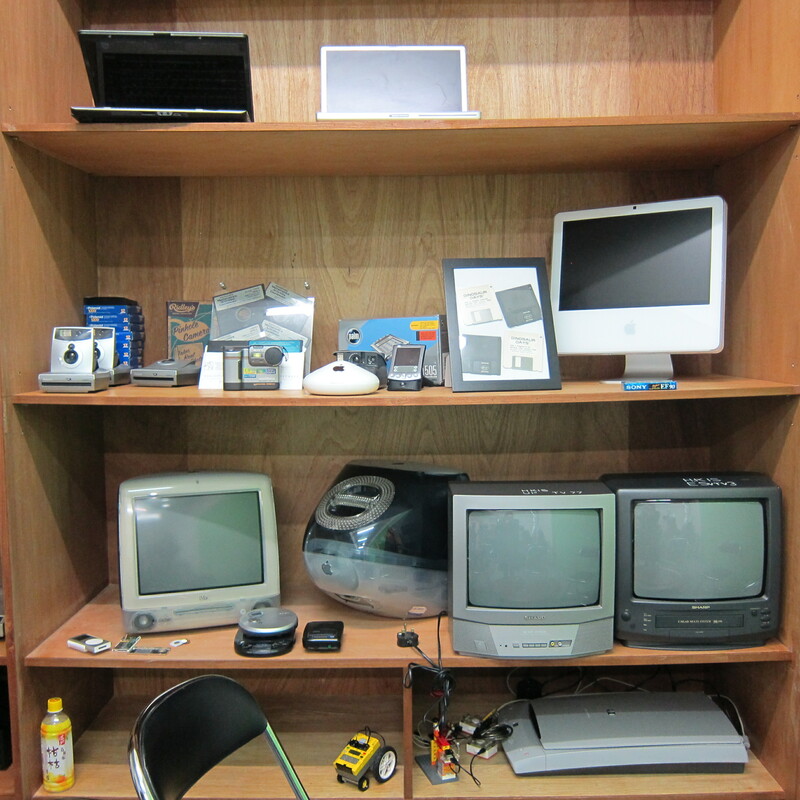 When I look at this wall of old gadgets, I am taken back to my first practicum teaching assignment – the slightly damp, purple-blue ditto copies that emerged with a toxic smell second only to rubber cement. Technology has changed tremendously since the ditto machine. As you read, ask yourself this: At what point in time did classroom instruction need to change with the emerging technology? For a little New Year’s fun, this post includes early tech trivia questions that you can answer in the comment box. 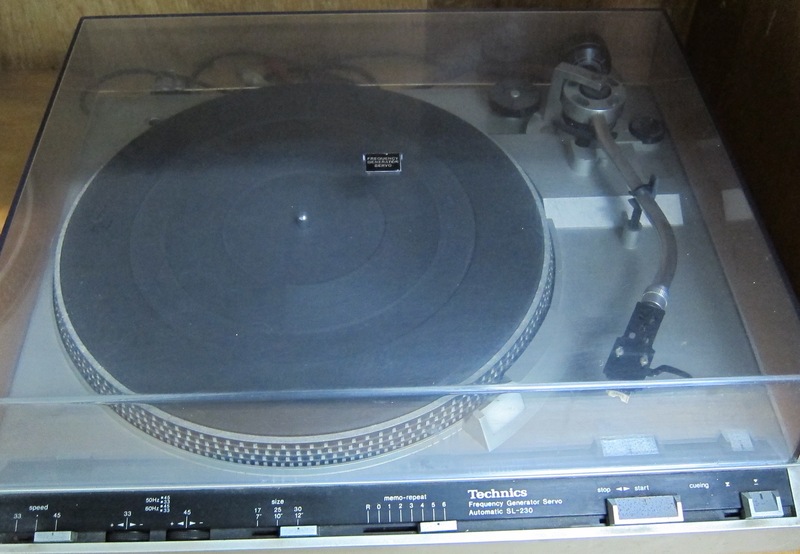 Turntables (record players): Record turntables were certainly not in every classroom, but you could check them out from the tech library to use in class. The use of the record player was dependent upon the variety of vinyls in the school library or the teacher’s ability to purchase classroom-appropriate materials. One of the major disadvantages of the turntable was the fear of album scratches or breaks. I suspect that few teachers allowed students to handle the records. Cassette tapes and players: If you were lucky enough to get a cassette tape player in your classroom, young children could be trusted to touch the equipment. The cassette tapes were far more portable than vinyl records and they weren’t easily destroyed. 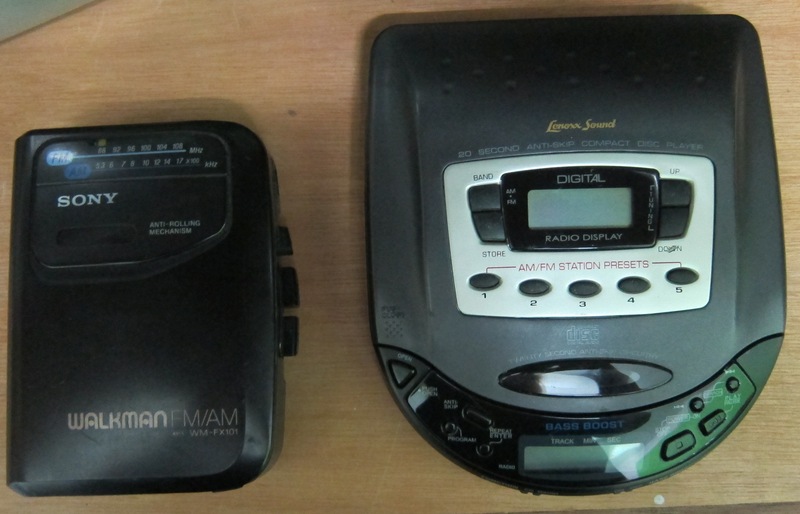 Most classrooms had a cassette player like the model on the left – while teenagers from affluent families might be seen walking down the street with a large boom-box balanced on their shoulders. For tech integration, students might present a report on a popular rock group and play a song from the collection. My report on Huey Lewis and the News earned a B because I spent time rewinding and fast-forwarding to find the correct song. Who knew I was expected to do that before the presentation??? We could also make audio-recordings of reading fluency or practice speaking skills. Early Apple Computers: The Apple IIe was a big deal. A Middle School classroom might have one or two of these machines in the back corner of the classroom. Students worked through “Apple Presents Apple” and could make pictures by plugging in BASIC ‘plot’ and ‘hplot’ commands. Even more amazing, work could be saved provided a magnetised paper clip didn’t get too close to the floppy disks. The Appleworks word processing program allowed students to not have to remember all the Word Perfect Function Keys. Trivia Question 1: Can you name all Word Perfect function keys? 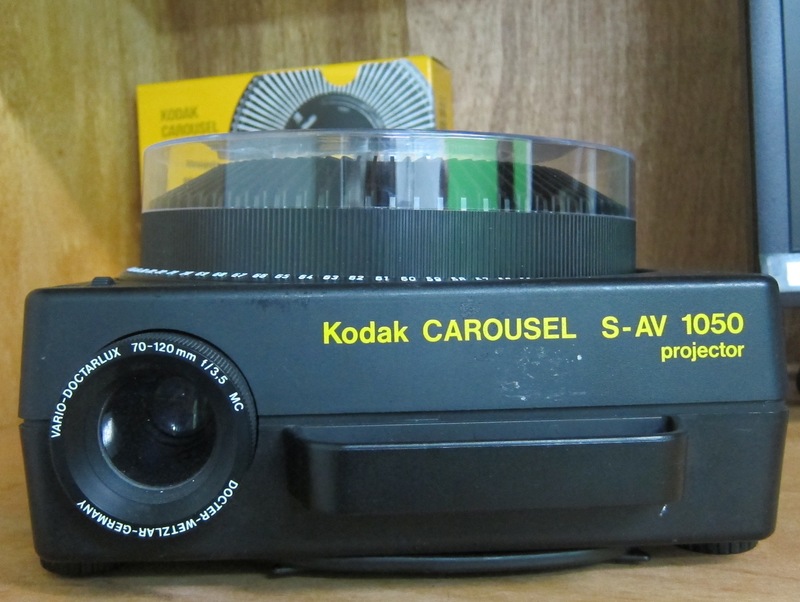 Slide projectors: In Educational Media, pre-service teachers of my generation learned to have film developed into slides for projectors. 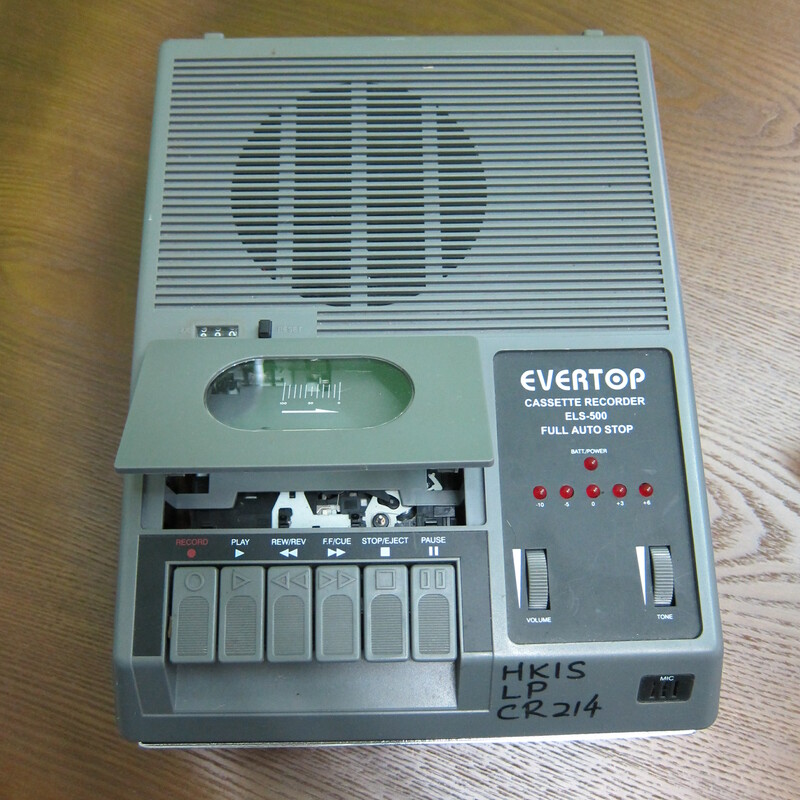 A really skilled teacher could sync the projector with a tape recorder so that the slides would automatically forward as a tape was played. The time and expense required to make the presentation made the technology prohibitive for regular use. The school tech library had a projector available for check-out. 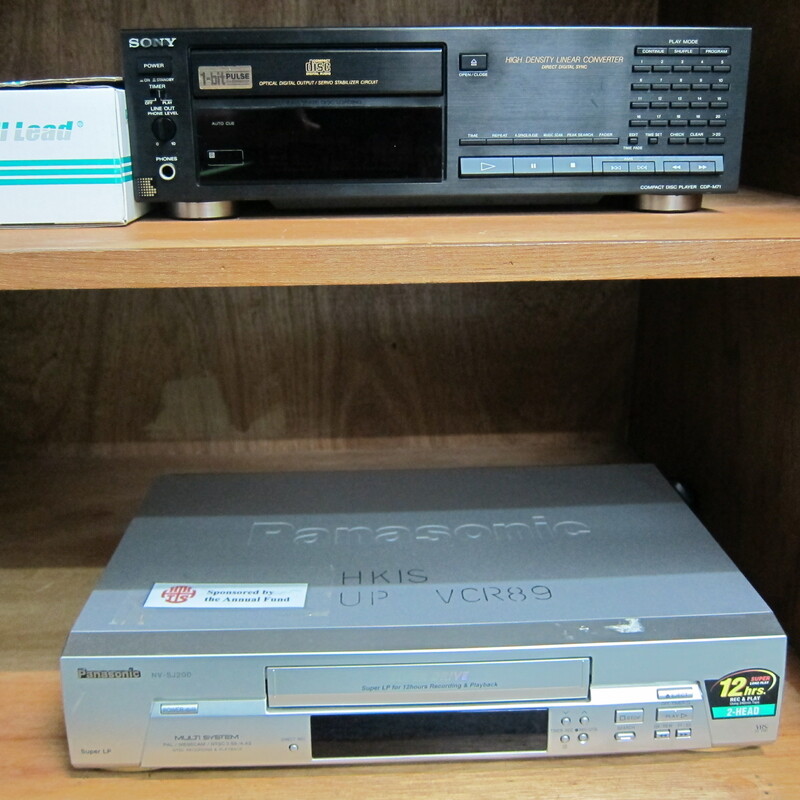 Video tape players: The 90s were also the time of the Betamax/VHS competition. Techies claimed that Sony Betamax had superior visual and audio capabilities. Yet VHS took over America, Australia, and many other countries to the extent that Beta-sized video tapes were difficult to purchase. VHS tapes replaced the temperamental reel-to-reel players and school libraries began stocking VHS tapes. Students could run the machines and were often called upon to figure out how to operate the device. Teachers spent extra time and money going to video rental stores – where they were charged extra fees for not rewinding tapes. The extra charge paled in comparison to the explosions of other teachers if you forgot to rewind a school-owned tape. Walkmans and portable CD players spent many years on the list of Most Coveted Christmas Gifts. The idea of jogging with music strapped to your waist overrode the inconvenience of the weight of devices pulling your shorts down. The devices were rarely used in classrooms – but I did have a custodian that would wear a Walkman while cleaning the floors. Walkmans and portable CD players were some of the first gadgets small enough to fit into backpacks – and they were banned by many schools. Floppy disks: When “floppy disks” became smaller and more solid, students with home computers could take work between home and school – and the disks saved seemingly large amounts of work. Bored students (and adults) flipped the metal tab back and forth, exposing the floppy part of the disk. Disks stored games that students could play. 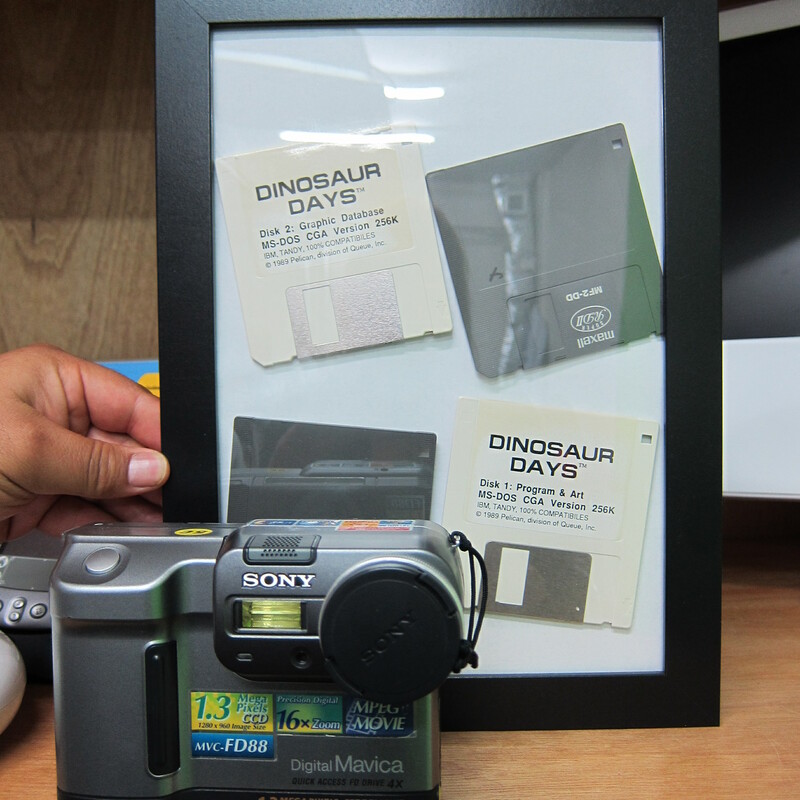 Early digital cameras used these smaller floppy disks, allowing images to be digitally saved and loaded onto a computer. While you wouldn’t want to use the cameras to photograph skylines or vacation landscapes, classroom work could more easily be saved for viewing. Trivia Question 2: What were the dimensions of these smaller floppy disks? Email: In 1989, representatives from West Point and the Air Force Academy came to encourage High School Juniors to apply for the military academies. As part of the conversation, the recruiters told us about this new invention present on both campuses: computers that could talk to one another. It was called email. How could this miracle of communication be FREE, we wondered. By the mid-90s, dial-up internet service was commonplace. 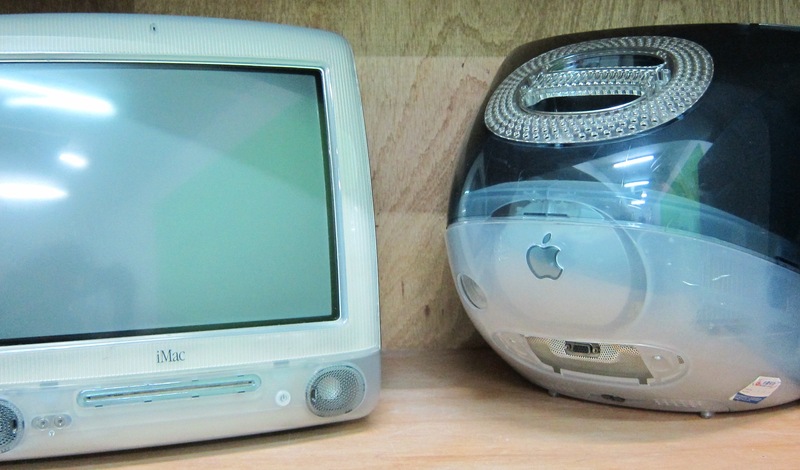 iMacs and other desktop computers: I’ll never forget the day a principal walked into a faculty meeting and stated, “By the end of next year, all the computers in our lab will be iMacs.” The faculty couldn’t fathom teaching in a school that could fund such extravagance. In 1999, Intel gave computers to teachers who submitted lesson plans on how they would use the computers in their classrooms. 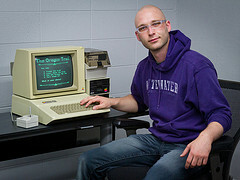 Schools and computer labs in the late 90s may have included a hodgepodge of different machines, all of which he tech coordinator was expected to maintain. Scanners: Before scanners emerged, teachers would have to photocopy student work for placement in portfolios. Scanners allowed teachers and students to digitally save pictures and work samples. Rumours abounded that, one day, students portfolios might be completely digital. Teachers who first toyed with digital portfolios spent hours scanning and saving individual pages of student work. Palm Pilots and other handheld devices: I truly believed the handheld devices would make teaching more efficient. Later models allowed users to load documents and spreadsheets – and some were magical enough to send emails. I pictured myself walking around class, taking anecdotal notes that could be digitally saved. I wasn’t bothered by the fact that each letter needed to be precisely hit with the pen-like stylus. In the end, these devices proved more cumbersome than paper and pencil notes. To send emails, 2G phone service needed to change to 3G at seemingly exorbitant costs. Other technologies have emerged in the past 13 years. Flat screens and DVD players are still found in most schools. Printers are more silent and used less frequently. 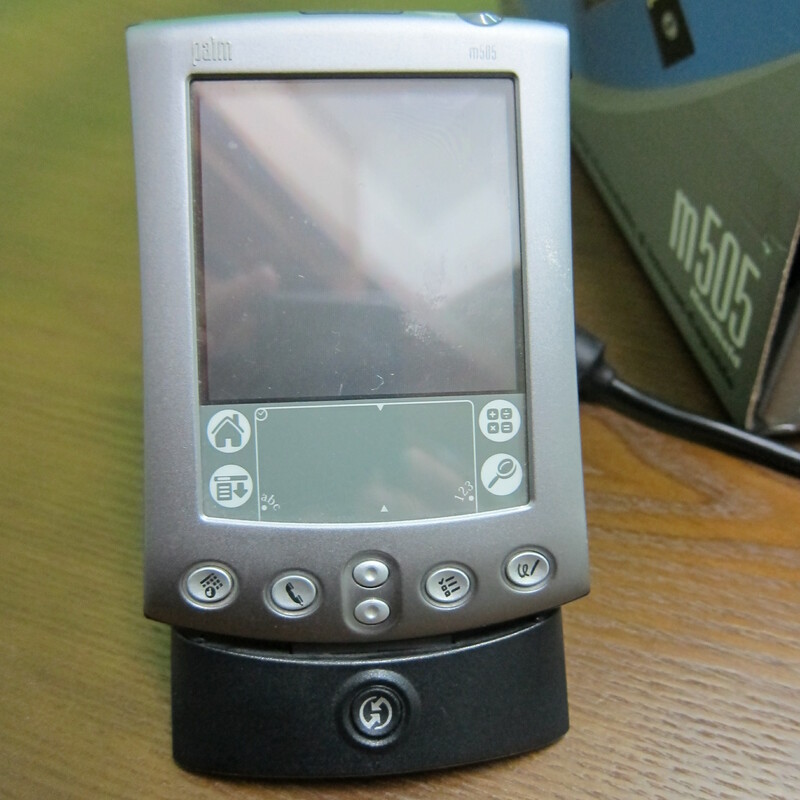 Handheld computers have built-in cameras and video recorders. Tablet devices, smart phones, and interactive white boards hold the same fascination for me as the FAX machine once did. But is teaching and learning different than it was in the 1980s? Until the early 2000s, teachers could make better presentations and students could book times for computer use. Modern-day devices allow for two-way communication, multi-media creation, and collaboration. Yet many still ask students to put away handheld computers in the same way they asked students to put away Walkmans. We now teach students to read and evaluate sources for research. Drivers’ education courses warn students not to drink and drive or text and drive. We try to teach these new habits in addition to teaching students to memorize information that they can look up in less time than it takes students to write their names on paper. Our curriculum materials are longer, not different. Our instruction and assessment models are beginning to change, albeit slowly. Final trivia question: What other items do you recognize in the museum pictures? Janet Abercrombie is the author of Expat Educator and regularly writes practical tips for improving teaching and learning. Her top tech posts have been about ePortfolios, classroom management of 1:1 environments, and student news videos. 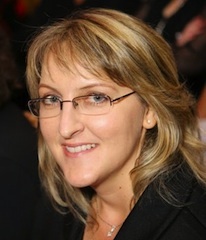 Janet works full time as Head of Junior School in a school outside of Melbourne. She consults with educational leaders who are looking to improve curriculum, instruction, and assessment. Tags: Apple IIe, assessment, Betamax, cassette players, curriculum, digital camera, email, Google goggles, iMac, instruction, keyboard, Keyboarding, laptops, palm pilots, portable CD player, scanners, slide projector, slides, Technology, turntables, VHS, Walkman. Bookmark the permalink. Hey, you didn’t mention laserdisc players. All the education rage in the 90’s. The discs were very expensive and the remotes cumbersome to use and non-responsive. You had to enter in a multi-digit code to get to the proper location on the disc. My 8th grade science students used to laugh at me as I tried unsuccessfully to enter the code and get the player to recognize the code I just entered. It usually took multiple tries. The kids thought I couldn’t do it properly because I was “old”, but I swear it was the equipment! Good catch. I must admit: I never used them! I started teaching BASIC programming on Radio Shack Model I’s (32K each) networked with a cassette recorder (our version of a hard drive) in 1981. Not much training for teachers then – I was about 1 day ahead of the students. Next I graduated to labs of mixed computers Radio Shack Model III’s, IBM PC’s, and Apple IIE’s – that was a challenge and a nightmare. My favorite activity – Students created animated graphics for a winter holiday computer contest – other students in the school came and voted with pennies that were awarded to the first three places. I still have pictures from the newspapers. I remember working with one of my students and networking the math and science departments with an ISDN modem/dialup on a $250 grant from the state. Oh, the soudn of that modem!!! I love tech – where it’s been and the possibilities that it promises for the future! Many of my students have ended up in the computer industry. This article brought back great memories! What wonderful memories. You should write a book… I bet you’ve heard that before. Either how a teacher’s life has changed, or tech. BTW, great picture on your website.